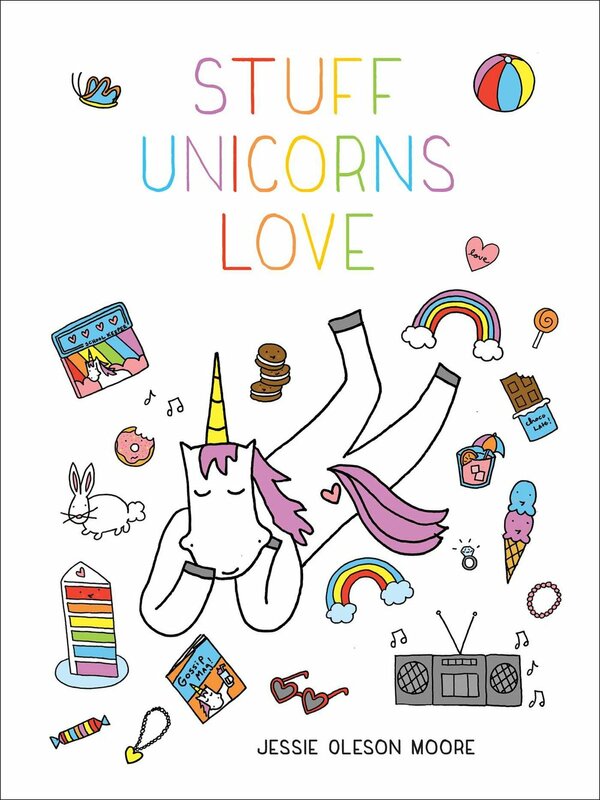 There's no I in Team, but there is one in Ice Cream, and when it comes to delivery method, people certainly do have strong individual preferences. I'm talking, of course, about ice cream cones, and which is superior within the accepted holy trinity: waffle, wafer, or sugar cone? Three main dry ingredients compose all types of cones. Wheat flour, tapioca flour, and sugar are chosen for baking quality, strength, and relative sweetness, respectively. The quantity of sugar is a major distinguishing feature between cone types. 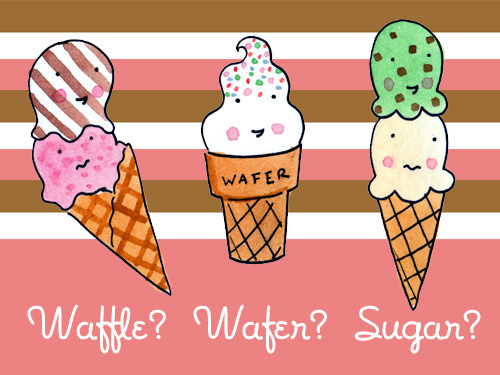 Sugar and waffle cones are made of one-third sugar. Not only does this influence the sweet flavor, but it affects the brown finished color and the crispy texture. Cake cones have less than 5% sugar. Who would have thought that such subtle differences could have such a big effect on the ice cream eating experience? But indeed they do, and so let's briefly talk about each cone type and its advantages and disadvantages. 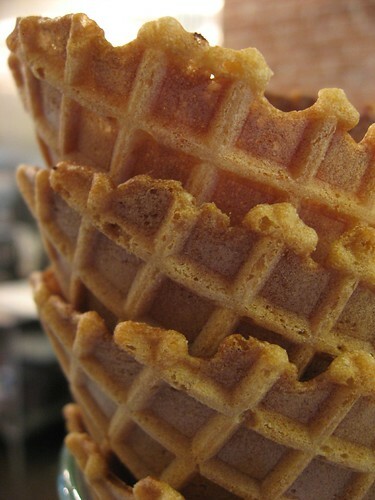 What it is: A waffle-patterned cone, generally larger in scale. Texture-wise, generally the softest of the varieties. Advantages: The size: generally waffle cones are fatter and bigger, and thus accomodate more delicious ice cream. This is a favored cone variety at artisan ice cream shops, so fancy varieties are often found, and likely for the same reason, this style of cone is one of the more flavorful varieties all on its own. Disadvantages: If you don't eat fast, they get soggy and tend to leak toward the end, or to break apart at the seam. Also, sometimes handmade ones have a hole in the bottom, and this equals bad times (though, if they line the bottom with chocolate, this is a delicious solution). 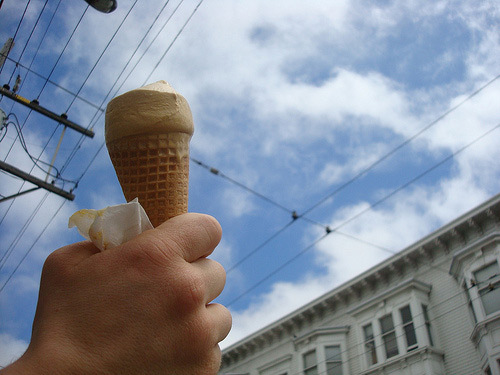 What it is: A flat-bottomed cone with an intricate infrastructure to capture ice cream. Advantages: Easier to balance (and to set down for a moment, if needed), and it holds more ice cream (esp. soft serve). It's also the go-to cone type for cupcake cones (pictured above), and the visual inspiration for the famous ice cream cone floor lamp (shown below). Though fairly bland on its own, it absorbs ice cream flavors nicely. Also, generally less expensive than the other varieties. Disadvantages: Relatively flavorless on its own, so if you eat your ice cream too fast and it hasn't absorbed the flavor, the bottom of the cone is kind of like eating lightly sweetened cardboard. Sides can become soggy, although the bottom generally doesn't leak like cornet shaped cones. What it is: A darker-hued cornet-shaped cone, generally smaller and crunchier than a waffle cone. Advantages: Sturdy--they generally don't get soggy from the ice cream. Iconic in appearance--for most people, if asked to picture an ice cream cone in their mind, they will likely think of this format. 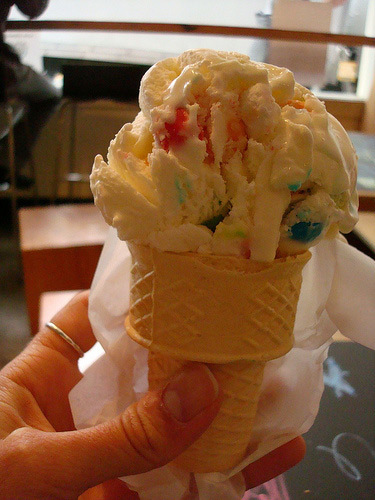 Disadvantages: Sometimes too crunchy--they can break off in shards as you bite into them, leaving exposed craggy bits where ice cream can escape onto your hand (and maybe not make it into your mouth). Also, they tend to be smaller than waffle cones and may accomodate less ice cream than wafer cones. If you eat it too fast, you may experience a "mourning period" where you've finished the ice cream but still have the end of the cone left. Of course, simply discussing the pros and cons of each style doesn't resolve the question of which cone is the best. But is there an answer? According to a poll (via Twitter, the only news and information source), respondents overwhelmingly preferred waffle, with sugar the second choice, and wafer trailing with but a small handful of devotees. However, upon further digging, it seemed that this was the favored type of cone when eating ice cream from an ice cream shop. Because seriously, who makes their own waffle cones at home? And they're not generally an easy to find product in grocery stores, unlike wafer and sugar cones. So it seems to me that ultimately, each type has its time and place. For instance, it's hard to imagine soft-serve ice cream being served in anything other than a wafer cone; if you want a whole lot of ice cream (and maybe a topping to boot), a waffle cone is going to give you the best coverage; if you have a delicate appetite or crave crunch, you will probably go with sugar. Of course, another--and perhaps the most important--aspect to cone preference is also nostalgia. For me, having grown up by the Jersey shore, where soft-serve is king, it's hard for me to even fathom passing up a wafer cone. But for those who grew up with hard ice cream in sugar cones, I have a feeling they might have more of an affinity for sugar cones. Of course, if all of this is too much for you to digest, you could always just go for your ice cream in a cup (or better yet, buy a sundae). 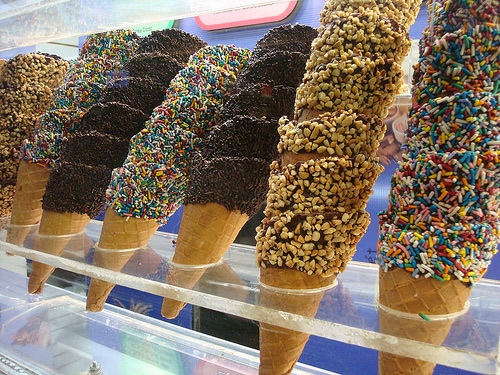 Which kind of cone do you favor?